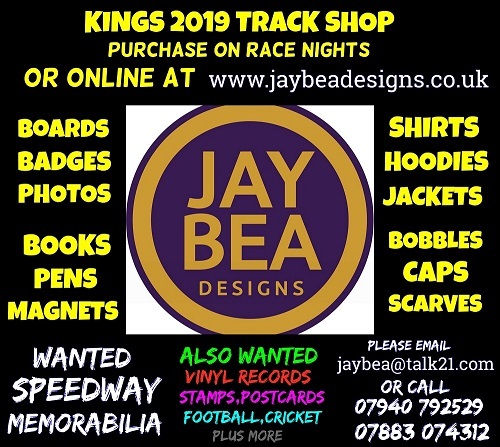 It's tapes up on the 2019 Speedway season at Central Park Stadium on Bank Holiday Monday (April 22nd. 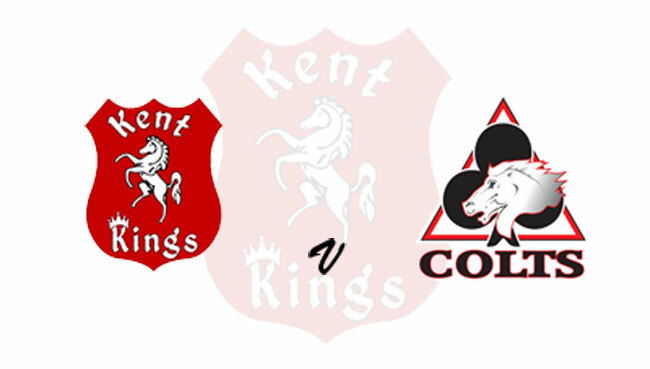 - 4pm start time) - with the Easter Chase being contested between the hosts, the Kent TouchTec Kings and the Belle Vue Colts. Kent have a new look team for their seventh season in Speedway's National League [NL] hoping their youthful array of talent will put them into seventh heaven come October with silverware in the trophy cabinet - and it will be a fascinating challenge to judge just how quickly this side will get off and running, taking on the 2017 NL winners and always a very attractive visiting team, in the Manchester-based Colts. With the TouchTec-sponsored Kings in action at the start of the holiday weekend, in the National Trophy away down in Devon against the Plytmouth Gladiators they'll be just one actual debutant for the hosts - the new number one, Drew Kemp. It'll be first home matches in the Invicta race jacket though for Dan Gilkes, Nathan Ablitt, Jordan Jenkins (all teenagers like Kemp) and for the new skipper who has the notable distinction of being well over twice the age of any of his charges, Rob Ledwith! The side is completed by the two returnees from last term and again both are teenagers: Anders Rowe and voted the Supporters Rider of 2018, Alex Spooner. The Colts aren't short of top young talent either - being captained themselves by multiple divisional youth national champion and winner of the World junior crown in 2014 and 2015, Kyle Bickley. A fellow three-times national champion at GB Youth level is Leon Flint and the Colts' spearhead of heat leaders is completed by a former NL-title winner when with Cradley, Danny Phillips. There are two riders experiencing the Central Park circuit for the fitst time in the ranks of the visitors: Jordan Palin and Ben Rathbone. And the Colts' septet is completed by Ben Woodhull and Paul Bowen. The gates open at 2.30pm and there are Easter treats for the youngsters who join up with the Kids Club, the Kent Munchkings. Children 12 and under go free making Kent Speedway a brilliant holiday weekend treat for the family.